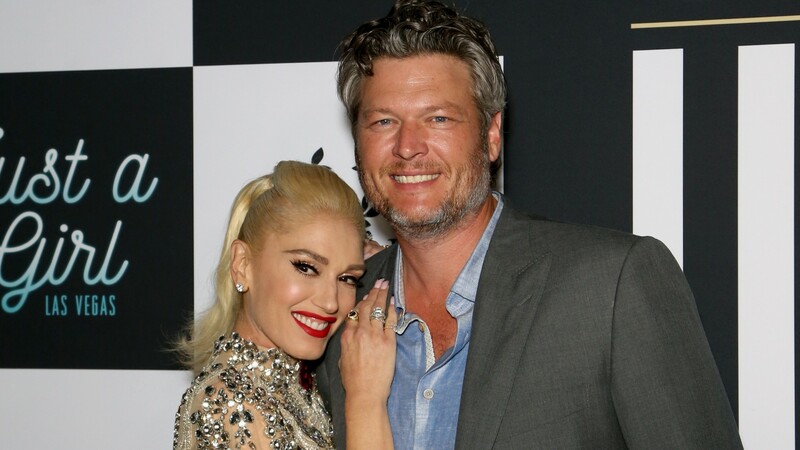 Trust us, you won’t be able to resist snapping your fingers and tapping your toes as Blake and Stefani show off their playful love — surrounded by tiny dancing Santas, snowmen and a classic Christmas set, natch. Seriously, we’ve watched it three times and we’re still smiling. It’s that cute, y’all. And who couldn’t use an extra dose of holiday joy right now? In the video, the lovebirds go through all the Christmas motions: picking out a Christmas tree, playing in the snow, sitting down for a turkey dinner and more. Of course, Stefani and Shelton bring the same sweet yet silly vibe to the video that defines their real-life relationship. In the original post, Stefani bemused the fact (via hashtag) that she even got Shelton to participate. But Stefani was clearly reveling in her Christmas victory, posting a series of stills from the video on her social media feeds. And we’d be remiss not to mention Stefani’s fashion, which is flawless as usual (with a Christmas-glam twist!). She first released “You Make It Feel Like Christmas” last year, making it the first single off her holiday album. Eleven other tracks rounded out the effort, consisting of a mix of holiday classics (think “Jingle Bells” and “Let It Snow”) alongside new seasonal songs. The album was Stefani’s first since 1997, when she covered “Oi to the World” with No Doubt. No word yet on whether any of the other songs from Stefani’s Christmas album will get the video treatment, but if they do, we volunteer Shelton for more starring roles.